I need to add this in. Undercover video of abortion center discussing and plotting for selling of fetal body parts and whole cadaveurs in bulk (120 cadaveurs) like they were selling pork bellies or something. prior to actual baby being no longer present in her body. i.e. 2 minutes before birth, the woman could freak out, and demand that the medical staff kill the "fetus". If the medical staff did not follow this basic right, they would be guilty of a crime, and maybe other crimes, of failure to give aid. They would in theory also be breaking the Hippocratic oath. 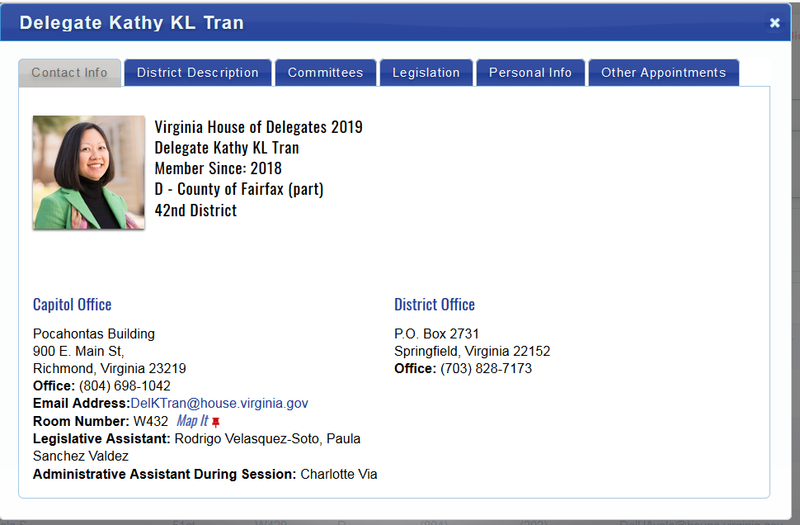 Now a female immigrant from Vietnam, recently elected to the house in Virginia, proposes a similar law. Abortion; eliminate certain requirements. Eliminates the requirement that an abortion in the second trimester of pregnancy and prior to the third trimester be performed in a hospital. The bill eliminates all the procedures and processes, including the performance of an ultrasound, required to effect a woman's informed written consent to the performance of an abortion; however, the bill does not change the requirement that a woman's informed written consent be first obtained. 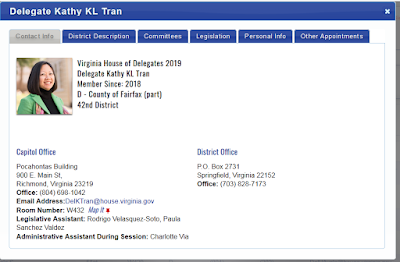 The bill eliminates the requirement that two other physicians certify that a third trimester abortion is necessary to prevent the woman's death or impairment of her mental or physical health, as well as the need to find that any such impairment to the woman's health would be substantial and irremediable. The bill also removes language classifying facilities that perform five or more first-trimester abortions per month as hospitals for the purpose of complying with regulations establishing minimum standards for hospitals.